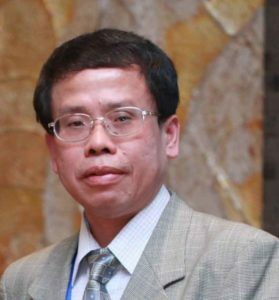 Hsing-Wen Sung is a Tsing Hua Distinguished Chair Professor, Department of Chemical Engineering and the Director of Institute of Biomedical Engineering, National Tsing Hua University. He received his PhD degree from Biomedical Engineering Program, Georgia Institute of Technology in May 1988. His research interests are biomaterials, tissue engineering, and drug/gene delivery. Professor Sung has received numerous awards such as, Fellow of American Institute for Medical and Biological Engineering, Fellow of International Union of Societies for Biomaterials Science and Engineering, Academician of Asia Pacific Academy of Materials, Ho Chin Tui Outstanding Research Award, National Science Council Outstanding Research Award, Professor Tsai-The Lai Award, and Elsevier 2015 Biomaterials Best Paper Award. He has been on the Editorial Boards of Journal of Controlled Release, Tissue Engineering, and Advanced Healthcare Materials; also, he has been serving as a Handling Editor for Biomaterials. Professor Sung has published 240 scientific papers and received 70 international patents.